Let the day drift away in the comfort of a queen bed. Prep for tomorrow at your desk or simply relax enjoying all of our modern amenities. The HM chair, comfortable and ergonomic. Also a multicontact station on your desk for your multiple devices. Maximum occupancy is 2 adults without children, this room does not apply for triple occupancy. Desk, HM chair, multicontacts station, private bathroom, air conditioning, Wi-Fi, TV, minibar, telephone, radio, iron, safety deposit box, hair dryer. 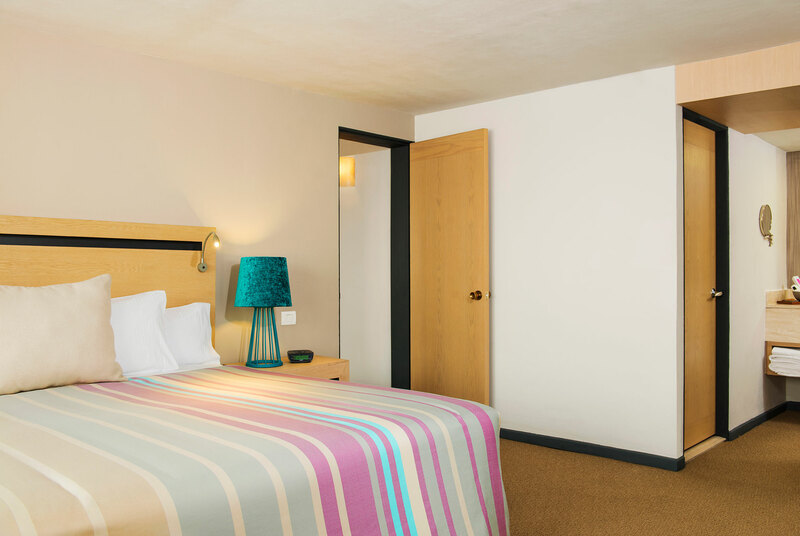 With more space than the Standard Room, you can relax in the comfort of a king bed or 2 queen beds. The HM chair, comfortable and ergonomic. Also a multicontact station on your desk for your multiple devices. 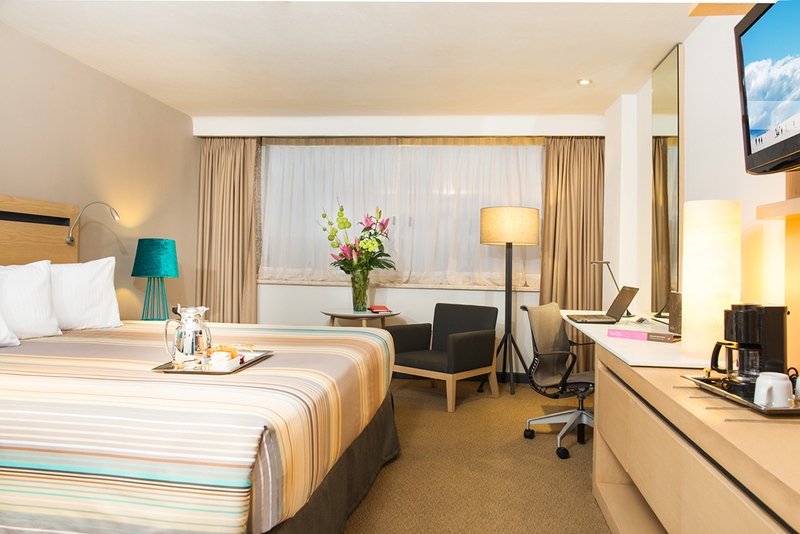 Prepare for tomorrow at your desk or enjoy the benefits of our minibar and modern amenities. 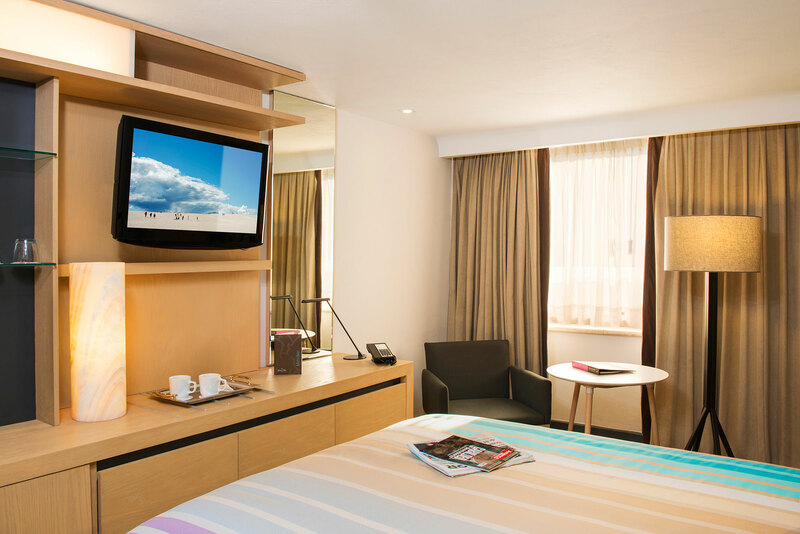 Enjoy the luxury of extra space in our Junior Suite. A sitting area with a love seat, a king bed, as well as 1.5 bathrooms. The HM chair, comfortable and ergonomic. Also a multicontact station on your desk for your multiple devices. Sitting area, HM chair, multicontacts station, 1.5 bathrooms, air conditioning, Wi-Fi, minibar, telephone, radio, iron, safety deposit box, hair dryer, ironing board. Experience our personal take on luxury in our Master Suites, each with a king bed and a living room with 2 love seats and a couch. The HM chair, comfortable and ergonomic. Also a multicontact station on your desk for your multiple devices. 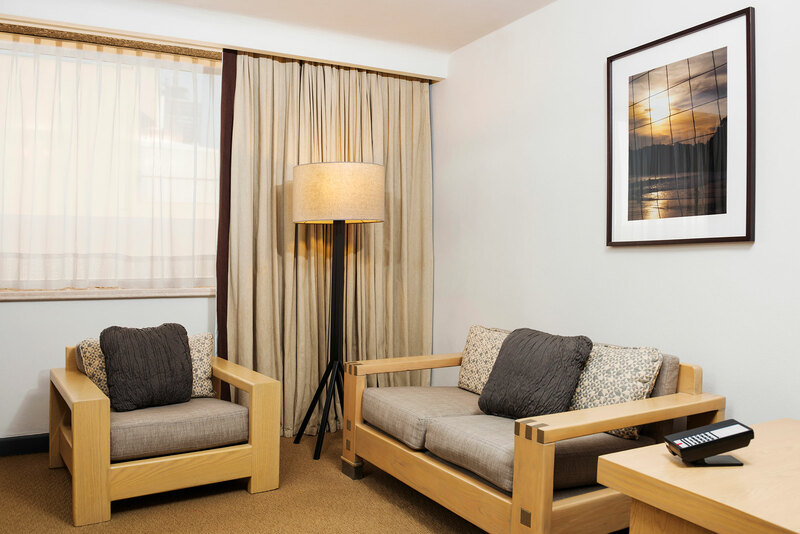 With amenities like 2 televisions, Wi-Fi, and a desk, you’ll find just what you need to recharge for tomorrow. Living room, HM chair, multicontacts station, 1.5 bathrooms, desk, Wi-Fi, air conditioning, 2 TVs, minibar, telephone, radio, iron, safety deposit box, hair dryer. 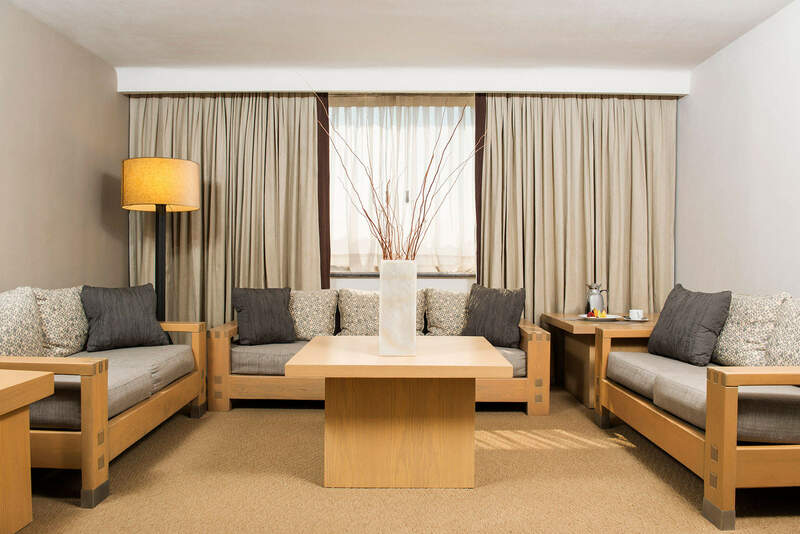 Our Executive Rooms come with access to a daily continental breakfast and evening cocktail hour in the Brisas Business Club. The HM chair, comfortable and ergonomic. Also a multicontact station on your desk for your multiple devices. 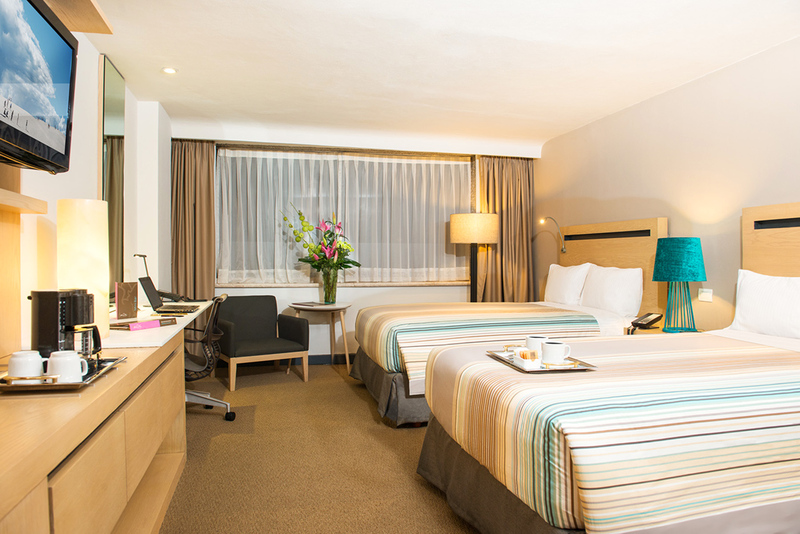 Enjoy the comfort of our contemporary accommodations, featuring a one king bed or two double beds. 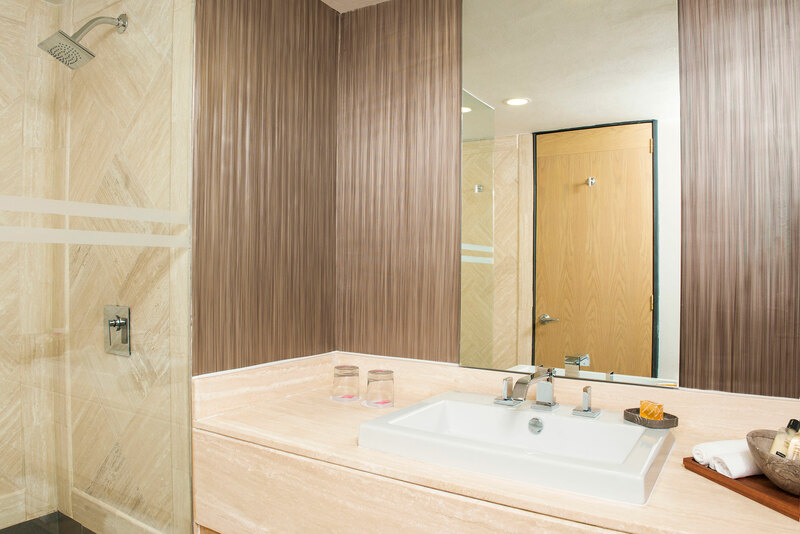 Brisas Business Club access, bathrobe and slippers, desk, HM chair, multicontacts station, private bathroom, air conditioning, Wi-Fi, flat screen TV, minibar, telephone, radio, iron, safety deposit box, hair dryer, ironing board.